A review of Amil International Inc. Health Insurance Company leads to Amil Assistencia Medica Internacional, a Brazilian health insurance company. Until 2005, they provided health care insurance to 34,000 people in the state of Texas; however, they no longer provide health care coverage in America. If you are looking specifically for American health insurance, enter your zip code in the free box now to compare health insurance rates from several companies. In 1996, Amil gained the license necessary to sell health insurance in the state of Texas. Texas was the only state in which that Amil sought an insurance license. You may be wondering why a Brazilian health insurance company would want to sell policies in the United States. First of all, according to the insurance industry, Texas is the easiest state in which to get an insurance license, so sometimes foreign companies begin there. Secondly, Amil did research and found a large population of Portuguese speaking people in Central Texas. They felt that they could help these individuals with their health insurance needs. These two factors led Amil to set up an office in Austin and begin selling insurance. Through the nine years that they were in Texas, they employed 85 people as agents or office workers at their United States headquarters in Austin. In 2005, Amil closed its United States operations. The president of the company said that even though they had 34,000 US customers, they could not keep up with the health insurance competition. They could not lower their rates because of their limited market and high overhead, so they decided to focus solely on their Brazilian policyholders. To help the process go smoothly for their customers, Amil contracted with Blue Cross and Blue Shield of Texas to take over their insurance policies. Since many companies and individuals only had the choice of two times a year to switch insurance companies, Blue Cross and Blue Shield filled in the gap until the choice of insurance companies could be made. 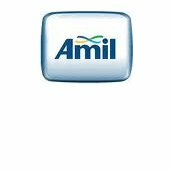 Amil is one of the largest providers of health insurance in Brazil. It was founded and is currently run by doctors. As doctors, the founders of Amil feel like they have a firm grasp on both the consumer and provider side of the health insurance industry. They feel they understand what policyholders what from their physicians and what physicians want from the policyholders. Brazilian healthcare differs from the United States in that health insurance providers like Amil can employ doctors directly and own hospitals, clinics, and treatment centers. This is called Total Care. The thought behind it is that if all the diagnosis, treatment, coverage, and payment are within one company, it will be more convenient for everyone involved, both patients and doctors. Since its founding, Amil has grown from being run out of clinic to now being housed in a five story building in Alphaville. Amil employs over 3,500 doctors. In addition to this, Amil has over 690 service clinics for treatment of patients, 195 hospitals, and over 200 specialty clinics. Everything is run through five branches and a dozen service agency hospitals. There are many opportunities for careers at Amil. Since they employ more than just agents, Amil has separate hiring processes for each area of expertise. They employ both Brazilians and Americans, provided that American employees are licensed to work in Brazil and are able to fluently speak and write in Portuguese. Likewise, they sell policies to both Brazilians and Americans. The first area of employment is the in the day-to-day operational aspect of the company. Amil hires office workers, caseworkers, and customer service representatives to work one on one with policyholders, hospitals, physicians, clinics, and treatment centers. All jobs in this area are housed at the headquarters in Alphaville. The next area of employment is in the direct insurance aspect of the business. Amil hires brokers, not agents. Brokers are different from agents because the majority of their income is based on sales of policies and customer retention. The last area of employment at Amil is medical professionals. Doctors and dentists can apply to work directly for Amil. If hired, they need to work in an Amil-owned hospital, clinic, treatment center, or specialty clinic.